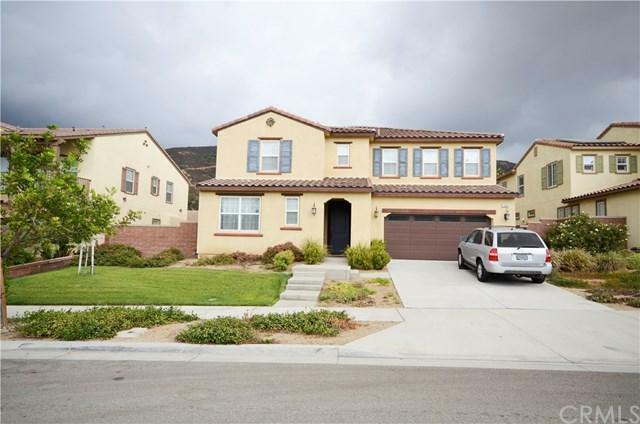 Beautiful Fontana home in newer neighborhood featuring 4 bedrooms & 4.5 baths. Upstairs has 3 Bedrooms with 3 Bathrooms. Downstairs has 1 Bedroom with personal bathroom plus one more bathroom for guests. Very Open Floor Plan has Kitchen connected to Huge Family Room with Fireplace. Beautiful Kitchen features Granite Counters, huge Granite Center Island with stainless steel appliances. 3 Car Tandem Garage with Roll up Garage Door and Tank-less Water Heater.